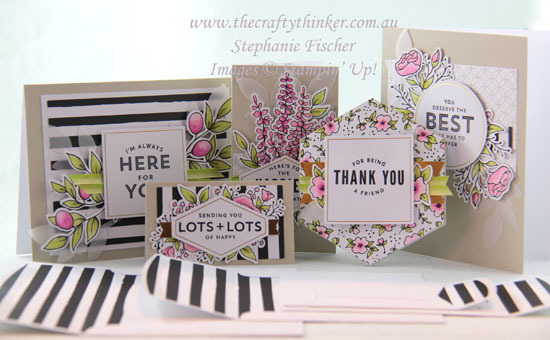 I'm so impressed with this beautiful card kit! 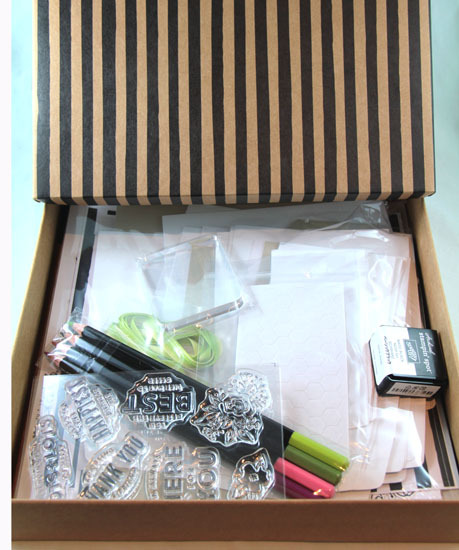 It has everything you need in the box (except for some adhesive like Snail and a pair of snips to cut the ribbon) - ideal for the beginner or casual card-maker! 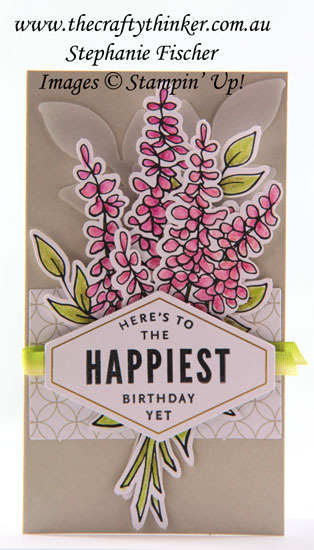 The Lots of Happy Card Kit has everything you need to make 16 gorgeous cards! 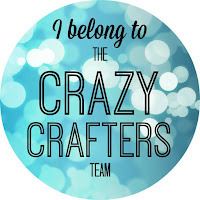 The kit contains the makings for four each of four different designs of cards - that's 16 cards in all. They do vary in size and shape, some of them are quite small, but they're all beautiful and have gorgeous matching envelopes with black striped interiors. 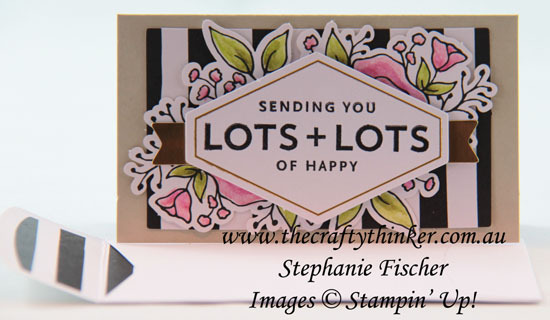 The little stamp set that's included has a variety of greetings to suit most occasions and a couple of small flower images, which I'll explore tomorrow. The kit also contains some water colour pencils in exclusive colours not found in the pencil collection and the stamps cover many occasions and can be used over and over again in the future. 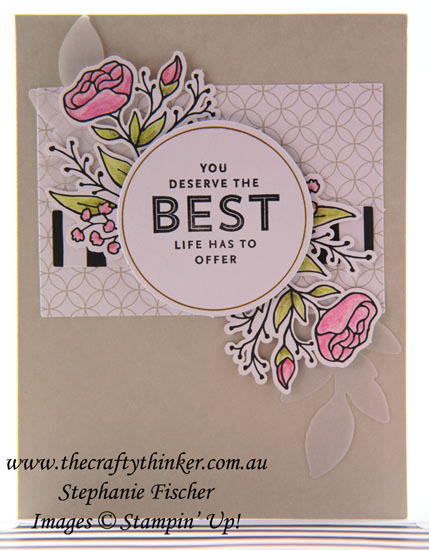 If you'd like to receive a copy of the new Occasions Catalogue (live in Australia and are not Stampin' Up Demonstrator) please contact me and I'll send one out to you. The Catalogue will run from 3rd January to 31st May 2018.